Great products always have great packaging. 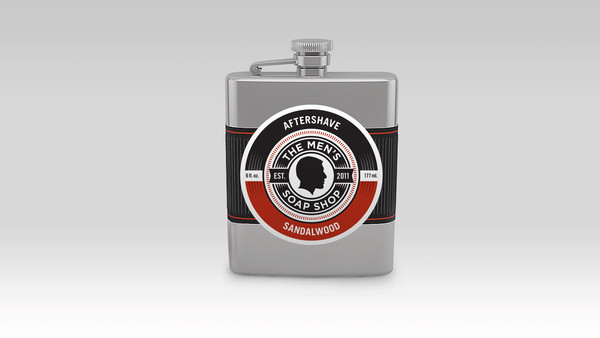 The Men’s Soap Shop Aftershave is, well, a variety of different scented aftershaves that come in a flask. How badass is that? Each of the seven scents (Lemongrass Ylang-Ylang, Sandalwood, Bay Rum, etc.) are all-natural and formulated from witch hazel and centella to close up pores and tone your skin after shaving.